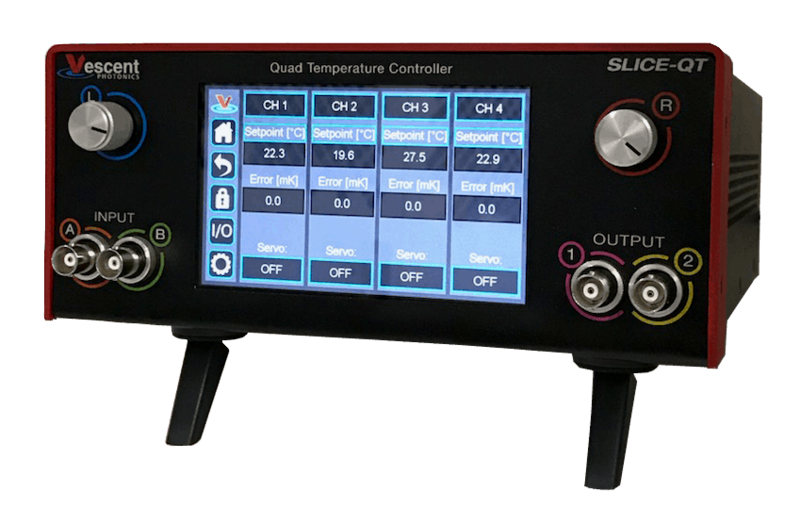 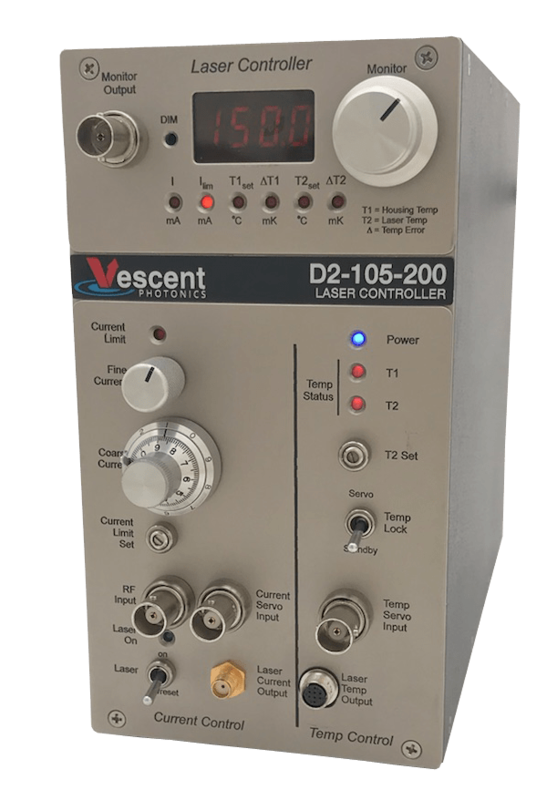 Our laser and electro-optic control electronics provide the lowest noise, highest bandwidth, and most flexibility of any commercially available products. 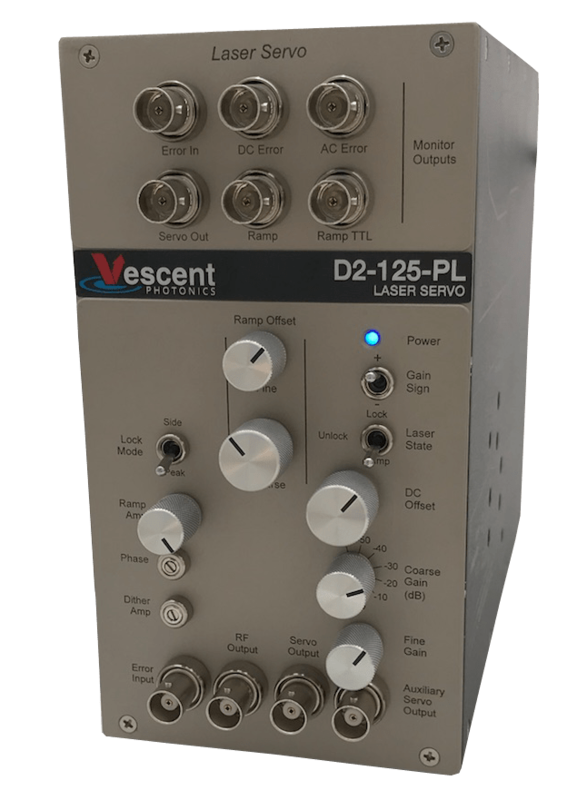 From laser current drivers with a noise density of less than 100 pA /√ Hz , to laser servos with full PI2D loop filter reconfigurability, our unmatched performance is designed for the most demanding AMO research. 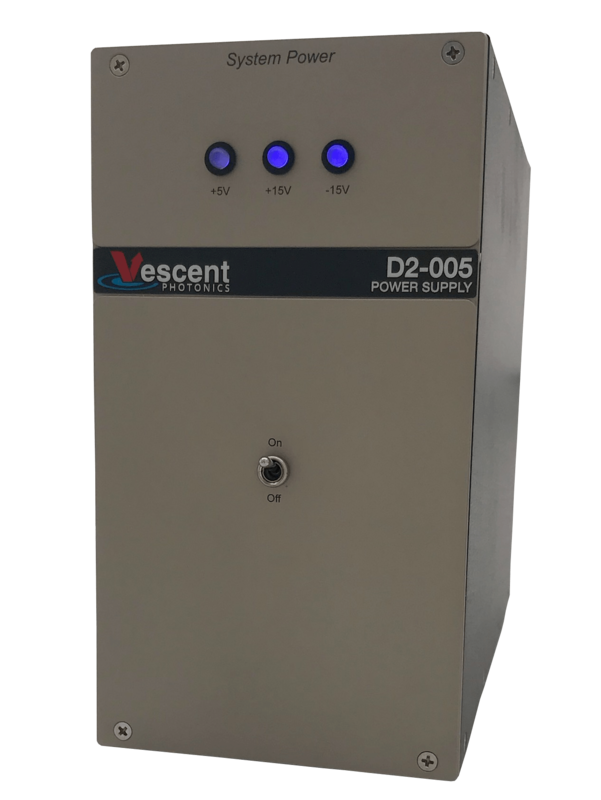 Vescent understands that “excellence by design” begins with the electronics for any lab. 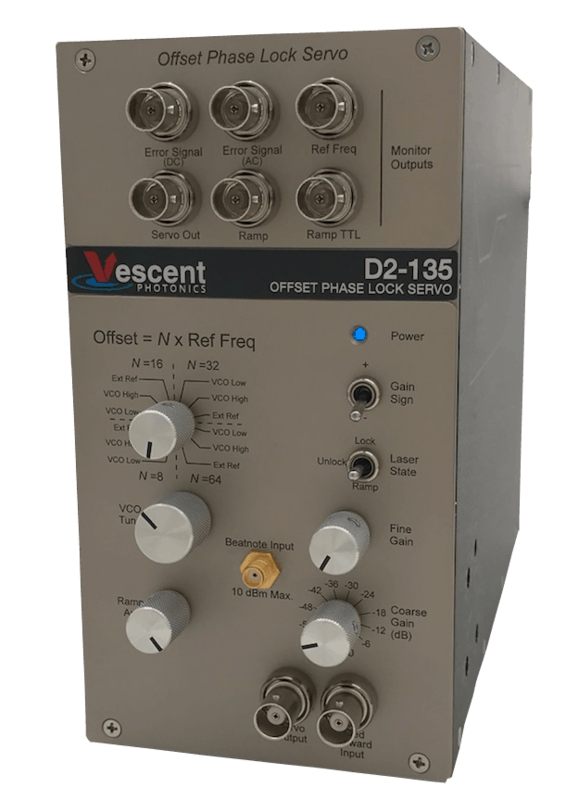 Vescent D2 electronics are designed for use in our Rackless Rack.